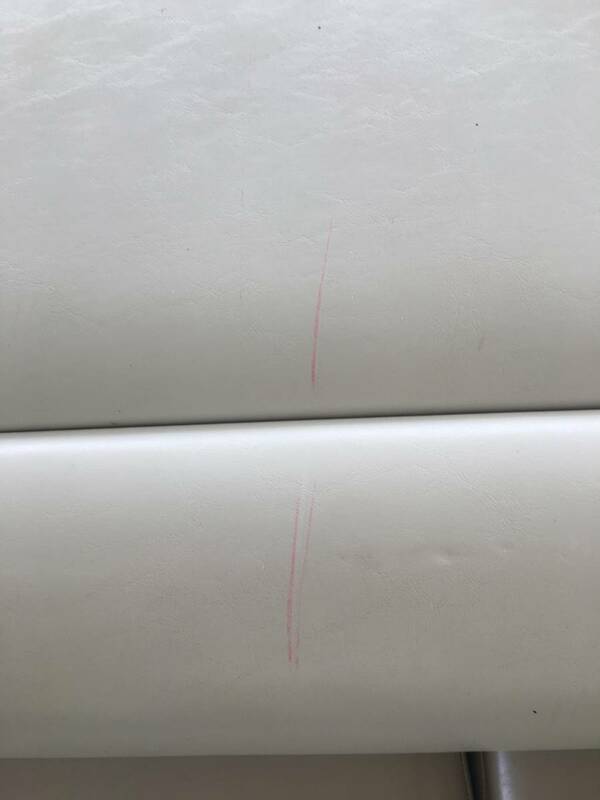 A few weeks back while out at the sandbar with my extended family I got what looks like a red pen streak on my vinyl. I have no idea what might have caused it, and nothing worked to clean it. I decided to ignore it and hope it fades. Last night we took her out for a sunset cruise and there’s another red streak just a few inches from the first. I still am at a loss as to what might be the cause. Which lady is wearing red toenail polish?? Thats kinda what I was thinking as well. 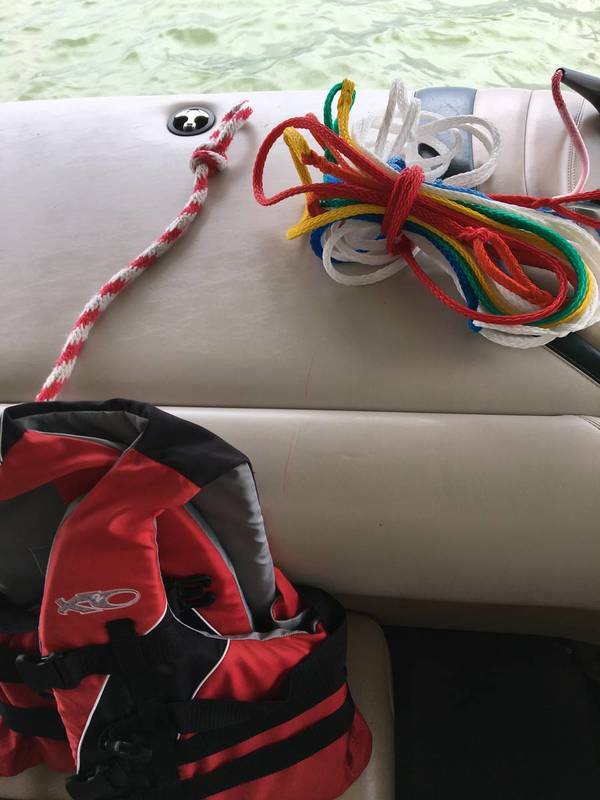 Is your surf rope or handle red? any expendable crew members that might have slide down into the seat over the rope or handle? Yeah,, my girlfriend has done this before,, it wiped off with vinyl sauce. Hmmm...I hadn’t thought about nail polish before. My wife’s nail polish was not red but pink the first time, though I don’t remember about my sister in law. My wife’s toenails are now red so that is possible. ill try nail polish remover or get some vinyl sauce. My maguires does nothing. 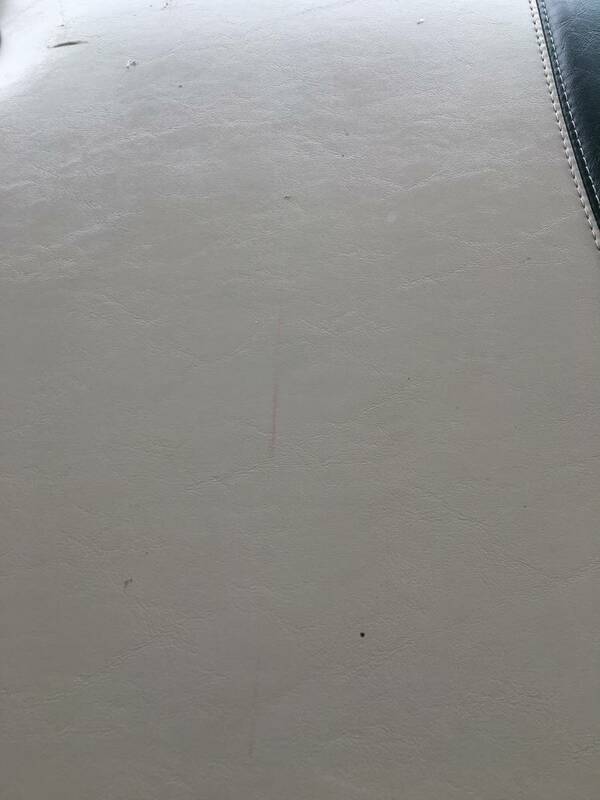 Here are all the items that are red in the boat: nothing that I think will streak so thin and small. 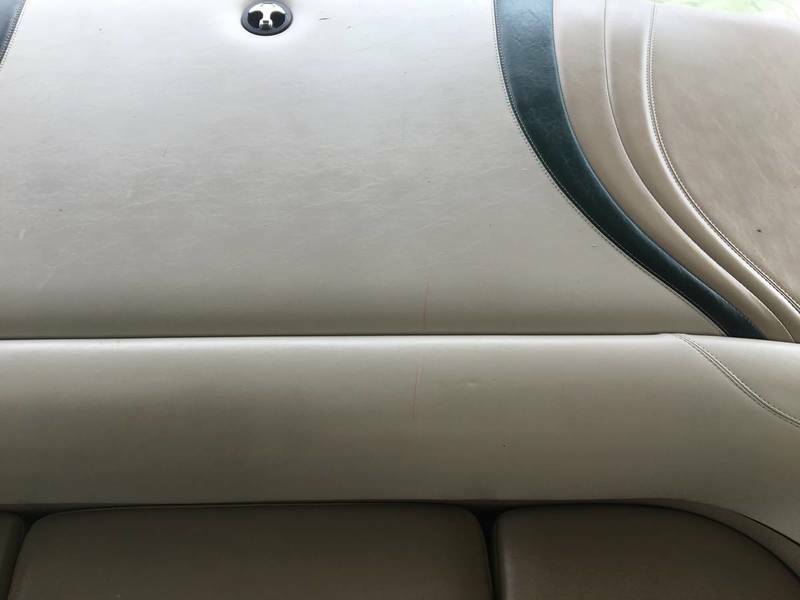 Babe’s seat soap and a microfiber cloth should take care of it.